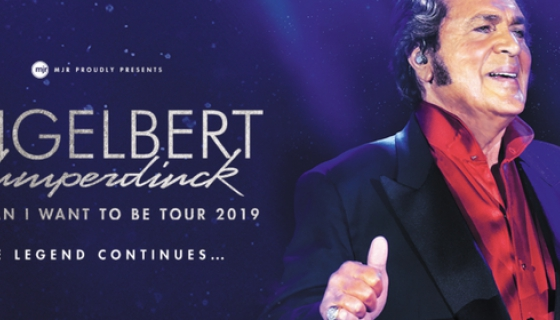 The famous Engelbert Humperdinck is bringing 50 years of hits to New Zealand early next year with his critically-acclaimed ‘The Man I Want To Be’ Tour. Presented by MJR in partnership with APA Touring, the British ‘King of Romance’ will play three shows - Bruce Mason Centre in Auckland on Thursday, February 28, Isaac Royal Theatre in Christchurch on Saturday, March 2 and the Opera House in Wellington on Monday, March 4. In a career thats been burning for more than five decades, Humperdinck is known for some of the largest, most popular anthems in music, from ‘Release Me’ and ‘Ten Guitars’ to ‘Last Waltz’ and ‘Quando,Quando, Quando’. He has generated sales that surpass 140 million records, including 64 gold albums and 35 platinum, four Grammy Award nominations, a Golden Globe and stars on the Hollywood Walk of Fame and the Las Vegas Walk of Fame. He has performed for the Queen four times, several presidents and many heads of state. He has recorded everything from the most romantic ballads to movie theme songs, disco, rock, and even gospel. Do not squander the opportunity to see one of music’s greatest living legends live and performing 50 years of hits.